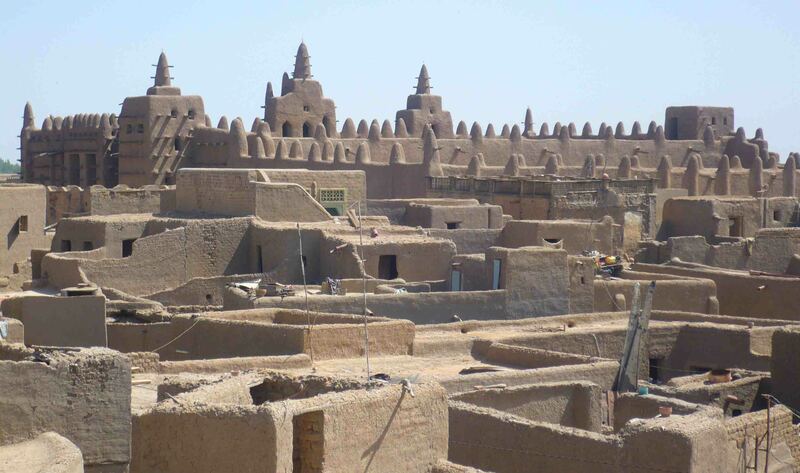 Djenne is a pretty special place. 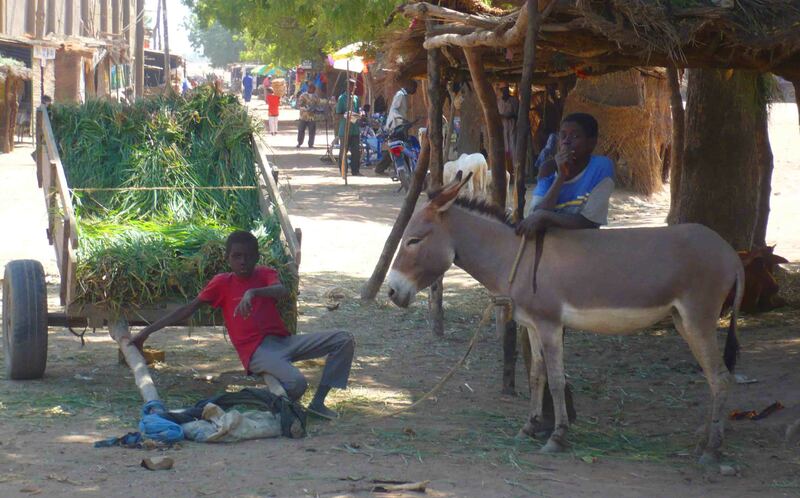 A small town on the less-populated side of the Niger River. 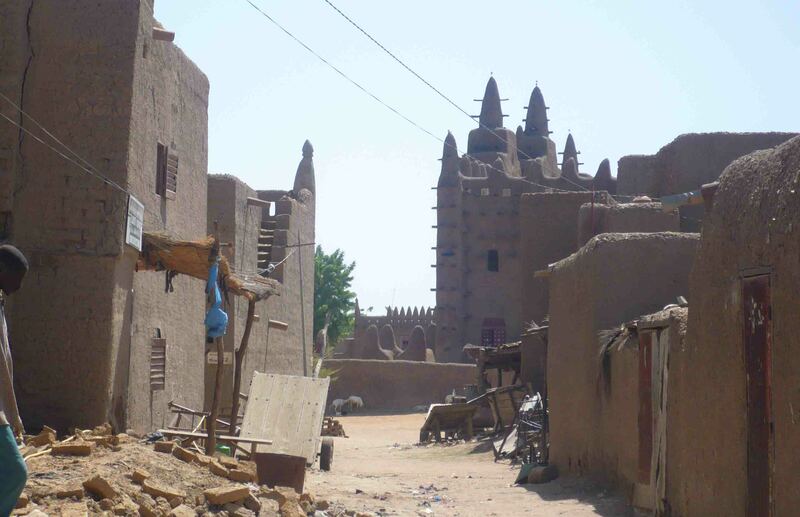 As I wrote in my recent post on Mopti (Sunday Spotlight – Mopti) I visited on a longish day-trip from Mopti. 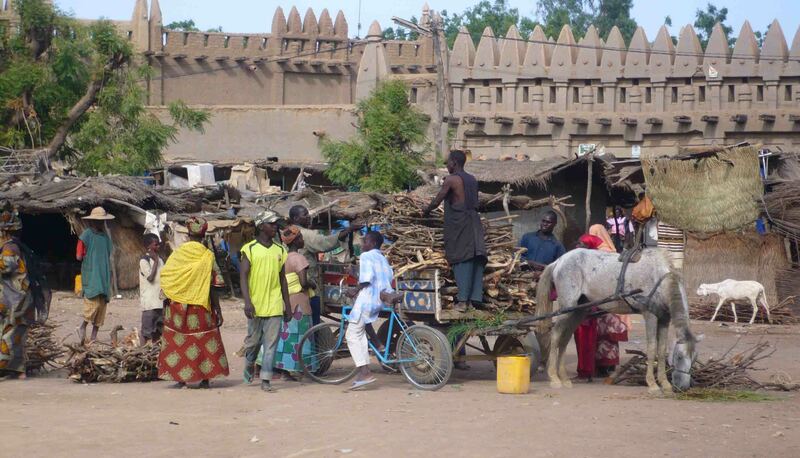 Crossing the Niger to Djenne. Not the best car in the world, but it did the job. 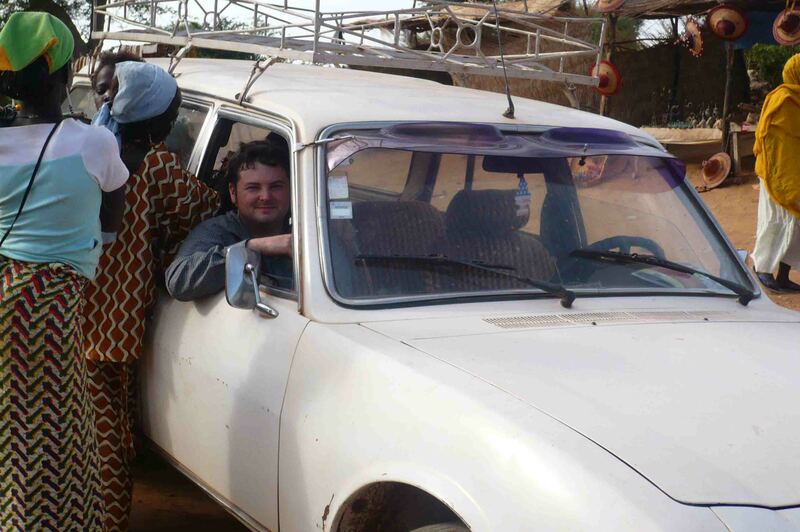 Actually, half the fun of the day was the amazing journey from Mopti to Djenne and back, in a pretty beat up old car. 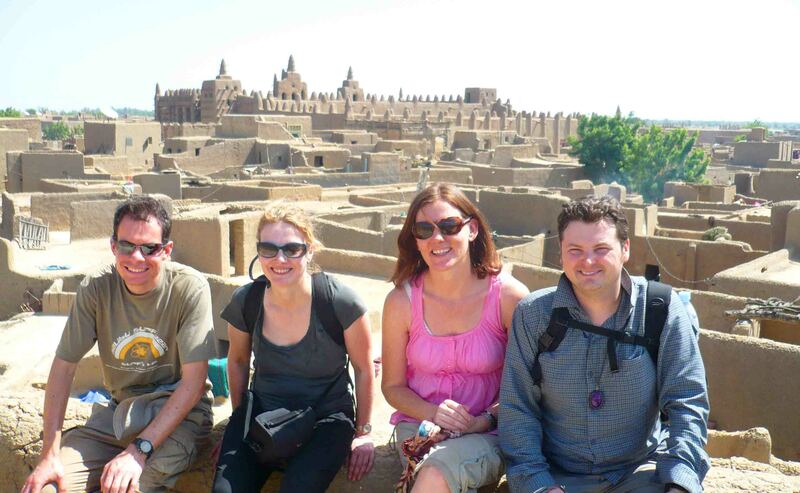 There were four of us who hired a guy to take us there and back, which was pretty standard at the time. We had sealed and unsealed roads to the standard of basically choose the best path on the road as the rivets and ditches were so deep that you couldn’t just stick to the one side of the road. And then there were a couple of river crossings, one where the passengers all had to get out and cross the river by foot whilst the driver traversed the tricky waters in the car. Then there were sandy embankments to get up, and we remained out of the vehicle until it had got up back to the road. So I could only presume that the bridge had been washed away at some point. 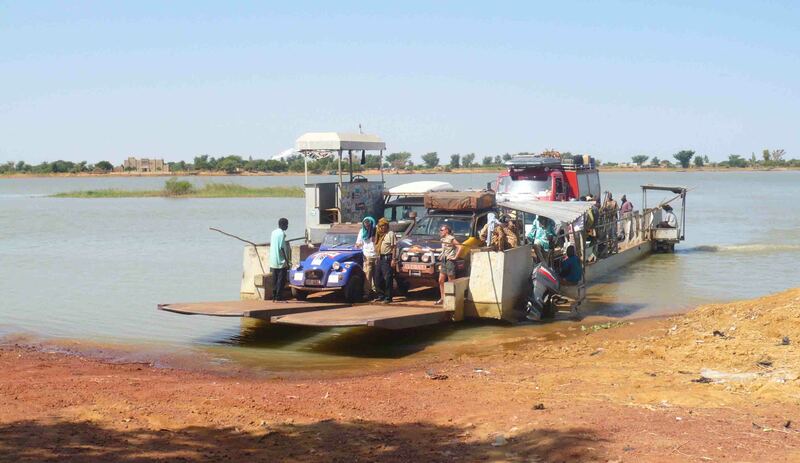 Then to cross over the Niger River to get to the side that Djenne lies on, there’s a ferry. 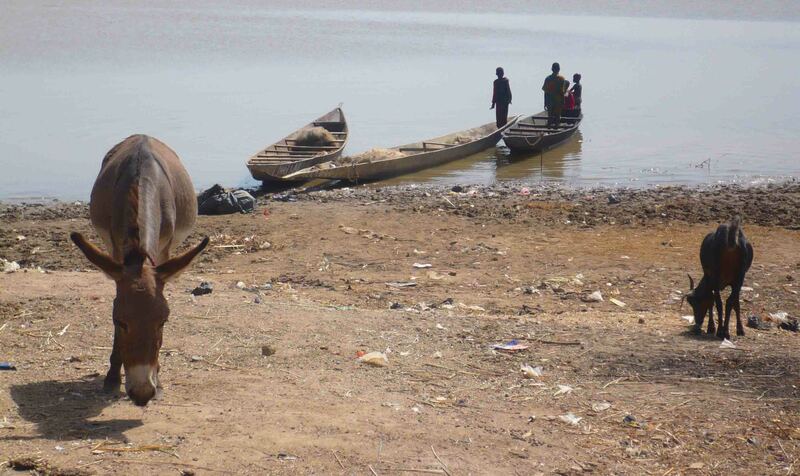 The Niger is such an incredible river, a wide river, that there are few bridges up and down it in Mali. A flatboat kind of deal full of people, vehicles, animals and more. There was a queue at the crossing and we had to wait for the second or third ferry before we could get on the island. Yes, I really did go there! Our driver was pretty much just a driver, and so on the island we had to engage a guide. Or walk around ourselves. We found a nice young guy who spoke English and he did a great job. It’s not a place with a lot of tourist options re: lunch, but we found somewhere. The buildings are amazing. 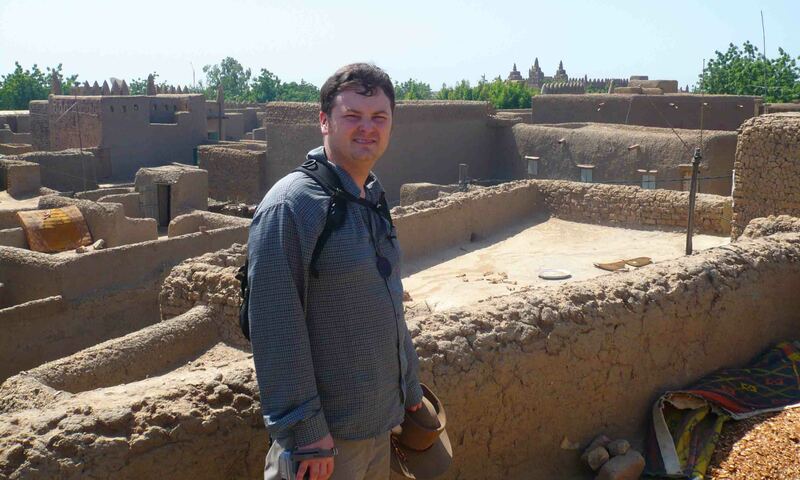 Almost all of them on the island are made from mud and mudbrick. 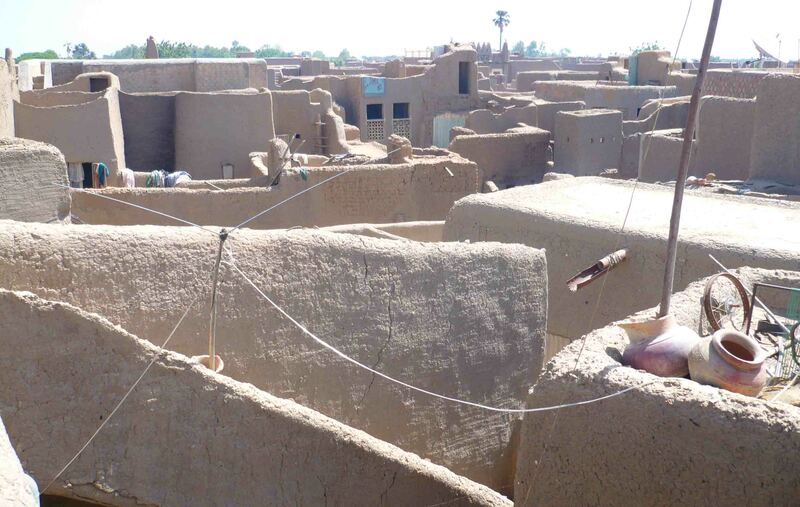 We were able to go inside a couple of houses and then head to the rooftops, where the views were fantastic! 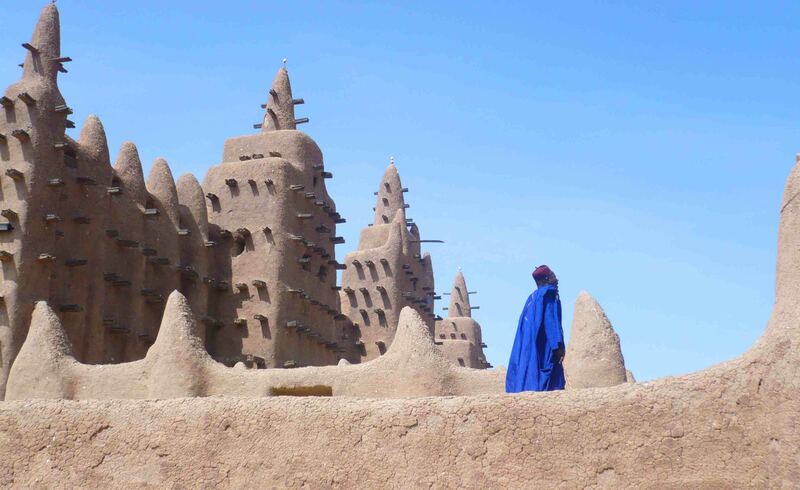 And from there we could see across to the Mosque, possibly the best known site in all of Mali. This is where we had been dropped off and were to be picked up. 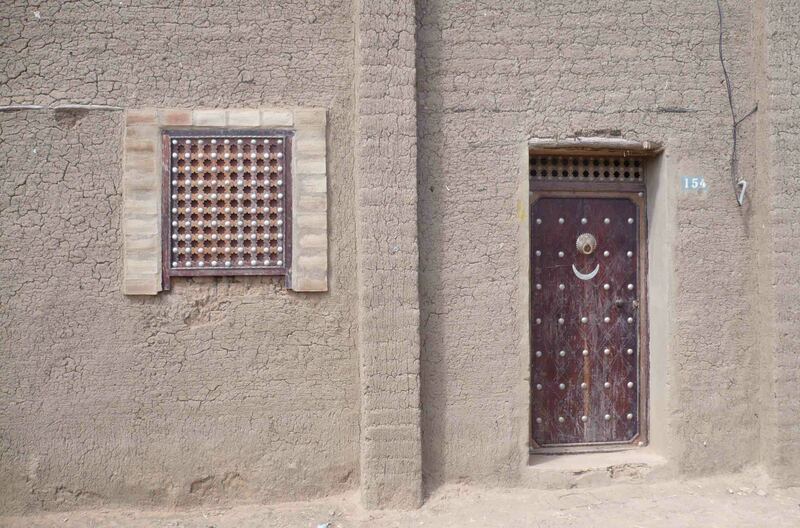 So it was after we’d walked the town and explore the backstreets (great experience) that we headed back to the mosque. Bicycle heading to the mosque. When I’ve talked or written about this mosque before I invariably get asked about going inside. You can’t. You couldn’t all the years ago when I went because earlier than that a film crew filmed a commercial inside that featured scantily-clad women. 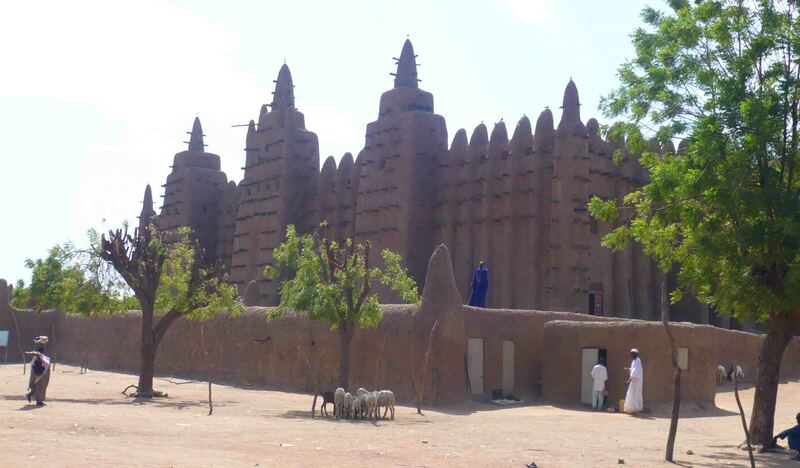 When it was discovered, they banned tourists from entering the mosque all together. Call to prayer from the mosque. However, it’s still pretty amazing. We saw a guy at the top come out and give the call to prayer. It’s really very large and beautiful. 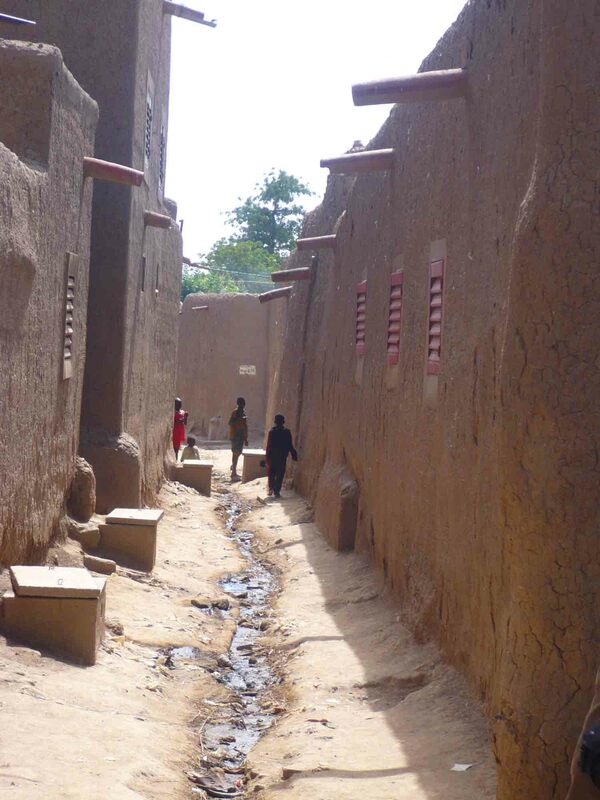 The way the mud across it is so smooth is testament to the community – they all get together once a year or/and after serious rain to put the mud back on. I presume they need to do that every so often for their houses as well. It’s a beautiful, unique spot. I loved visiting it. 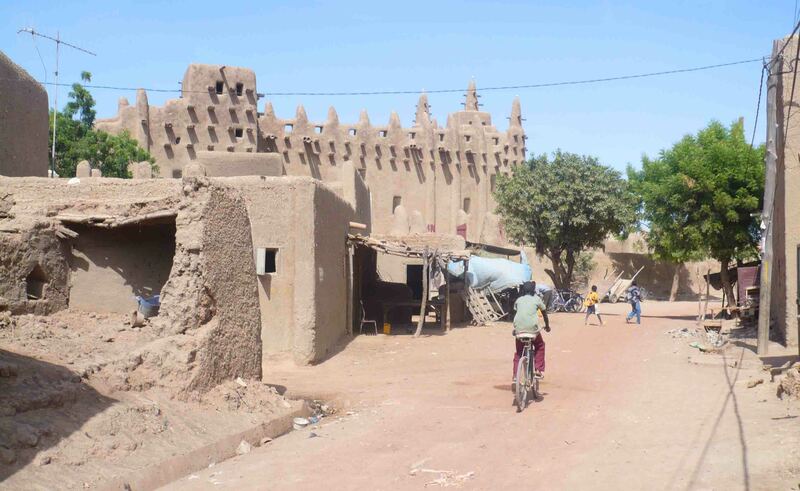 Back to Mopti at the end of the day, lots of traffic, there aren’t that many roads in Mali! Thanks for reading, May the Journey Never End! 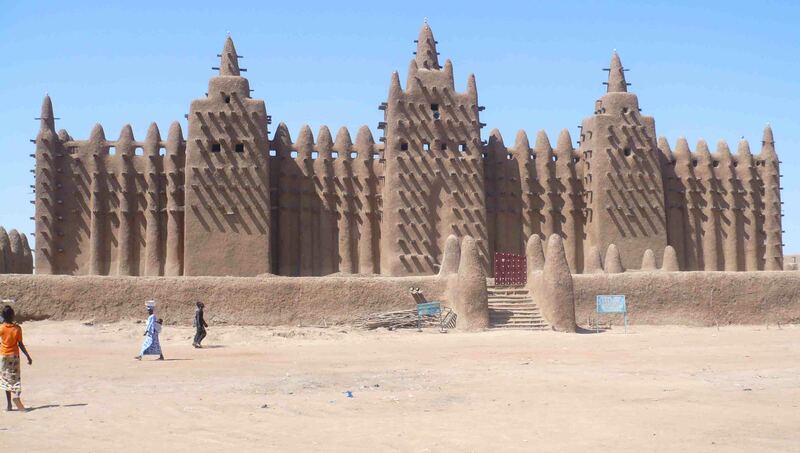 It looks beautiful, it’s fascinating that these are all mostly made from mud yet the architecture is still interesting. 🙂 indeed. Hopefully one day it is possible again!